Lined inside with a membrane lining. The Tree House and base are freestanding and stable door comes as standard. It rests on a base approx. 1.3m off the ground. The Tree House comes in one size only. The actual shed size is 1.5m x 1.5m x 1.8m to highest point. The overall footprint to include the steps is 2.7m x 2.4m. 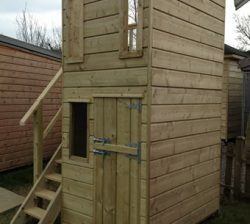 All of our tree houses are purpose built with high grade quality timber. Pressure treated for extra durability, our tree houses are safe and proper installation is included in the price. 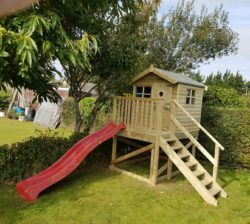 Our Playhouses can be fitted with a slide as an additional extra. Click here for more detail. Our Barrelboard Play-house is a two storey den for your kids to spend hours of enjoyment in. 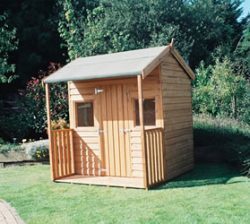 Our play-house is made in pressure treated timber and comes with a stable door as standard. Click here for more detail. Looking for a kids playhouse idea? A wooden wendy house guarantees to ignite your child’s imagination. Quality and Purpose built playhouses for kids! An ideal playhouse for your children. 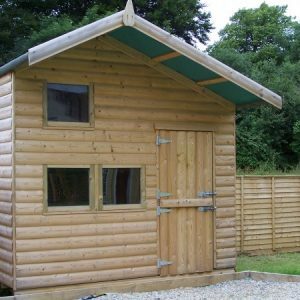 The sizes include a 2ft verandah, the Wendy is a reduced size shed with the door being 5ft high. For more Details on our Wendy Shed please Click Here. 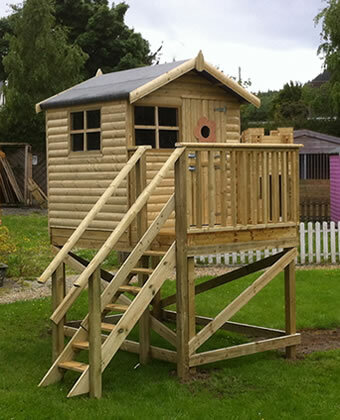 Our wooden castle playhouse blends into any garden environment. As the playhouse is structurally secure it also provides shelter from bad weather preventing even the worst of weather having an impact on your child’s playtime despite the season. 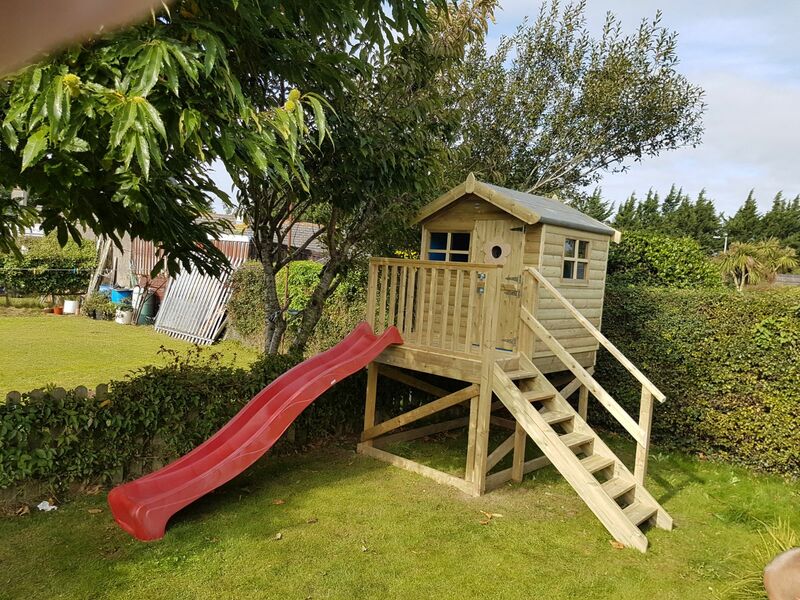 Our Playhouses can be fitted with a slide as an additional extra. Click here for more detail.